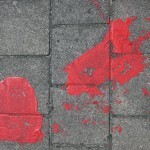 I’m on a mission to flood Eindhoven with positive street art, and you are invited to join! Step 1: Come up with an idea for the public space that makes others smile. Step 2: Send it to me before March 1. Step 3: Make it happen & get your materials covered (up to €200,-). Disclaimer: You do need to be a local (sorry to >95% of blog readers who do not fall into that category). On what base will ideas be selected? Your idea has a positive influence on the public space. That’s the most important. Other than that you’re super excited about it and you feel confident about its feasibility (since you’ll be doing this yourself). It’s cool if it’s an original idea, but not necessary. 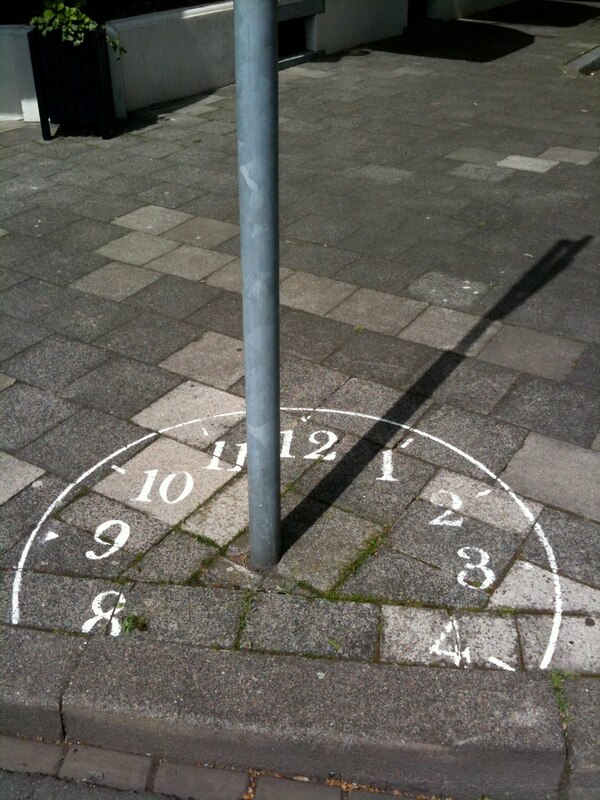 Think: street art with a positive twist. Bonus points if your idea: involves habitants in the making process, is iconic for Eindhoven, solves a problem (like littering, speeding, etc) or brings joy for a longer period of time. How do I send in my idea? Send your idea before March 1 to marielle@magicaldaydream.com. It can be a short text description, a visualisation, a drawing, an example picture, but no more than one page. Preferably you provide some context, like: when and where do you plan to realize your idea, and a general estimation of budget (how do you expect to spend it). Can be in either Dutch or English. Feel free to send more ideas in per person. Initiative & fun, silly ideas are encouraged. I’m Mariëlle van Aart-Coppes and I’ve been appointed as curator smilefactor of Eindhoven last June. 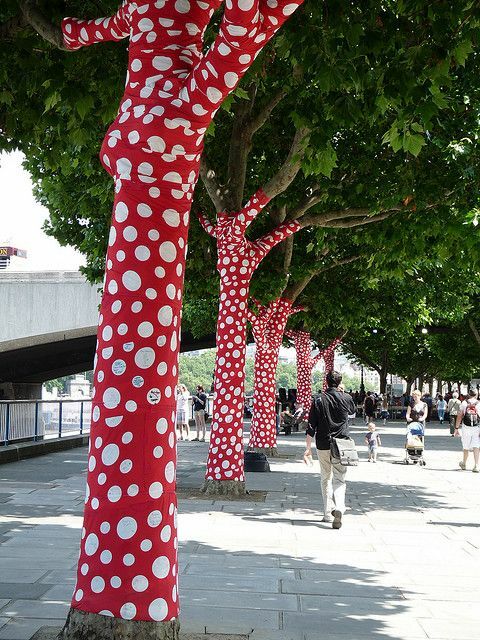 My mission is to make the public space more fun and positive. 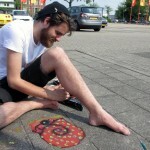 I stimulate creatives of Eindhoven to make their beautiful idea happen and make others smile with their creations. I’ve created urban interventions myself too in Eindhoven, for example this balloon tree , a yarnbomb project, magical rain art and 1000 paper cranes. Municipality Eindhoven has a small fund for fun, creative initiatives that have a positive impact on the public space and make people smile. Through my (voluntary) position as curator smilefactor I get to help decide what ideas deserve funding. 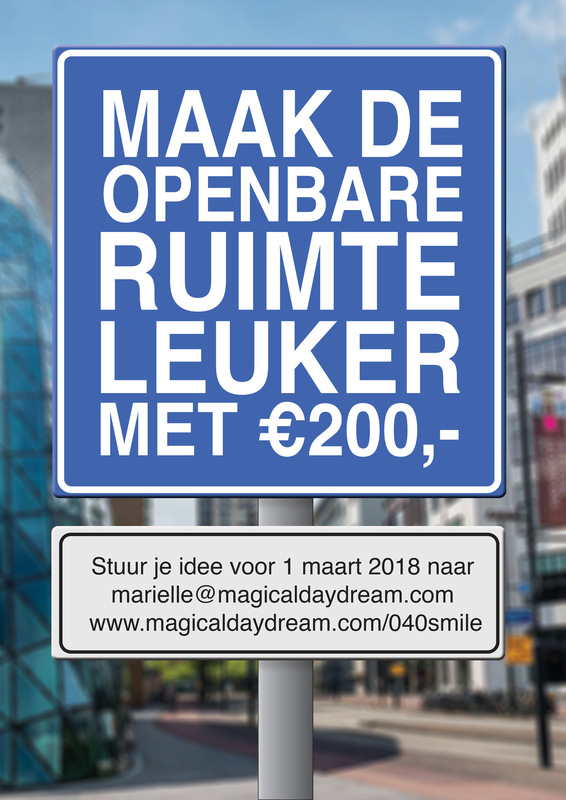 Do I simply get €200,- for making my idea happen? No. You send in your idea. Then the ideas with the strongest ‘smilefactor’ will be chosen. Say, I think your idea is awesome. Then I tell the municipality, “Let’s do this”. Then they’ll need to check things like safety, location etc. before giving permission. The material costs of the selected ideas will be funded up until a maximum of €200,-. 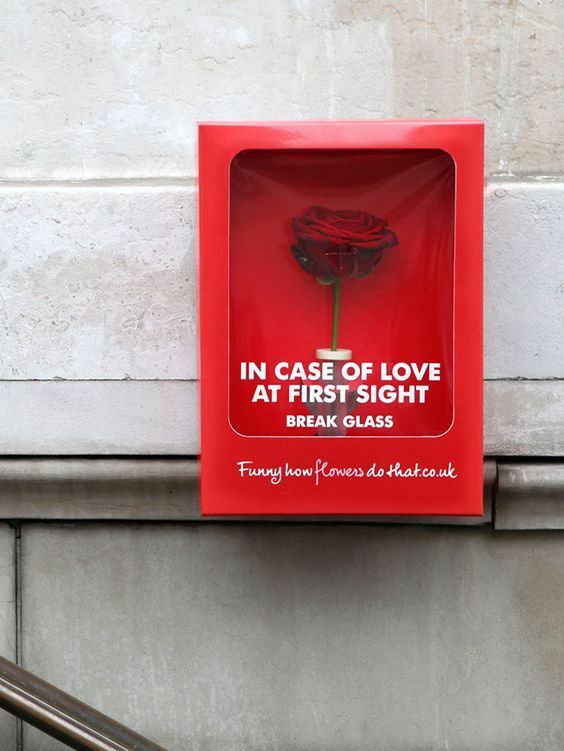 One idea may need only €50,- while another costs €200,-. Or perhaps you already have all the materials to make what you want, and you simply want permission to do it in a specific location. The material costs can be invoiced after realisation as long as you keep the receipts . You can share a picture of your finished project using #040smile. Could you give me examples of what you mean with ‘smilefactor’? Moss graffiti, like “Grow” by Anna Garforth in Londen. 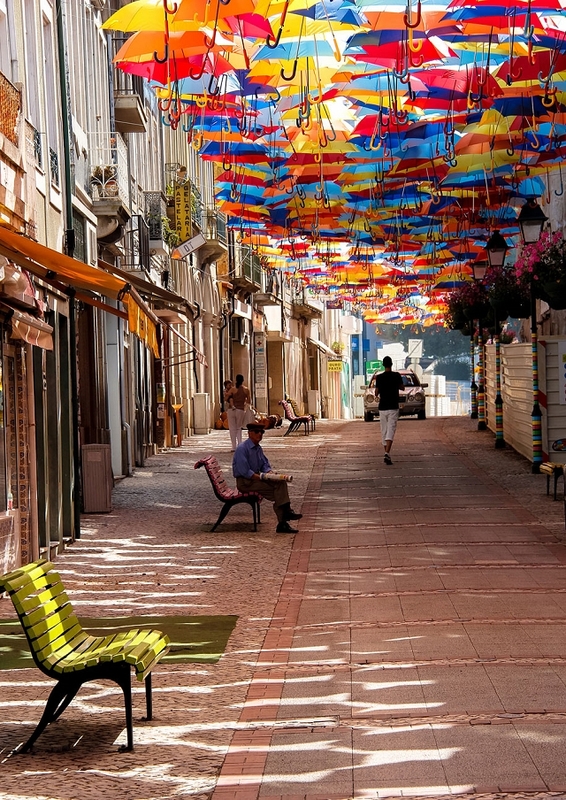 Umbrella installation of Sextafeira PRODUÇÕES in Águeda, Aveiro, Portugal. Picture by Patricia Almeida. 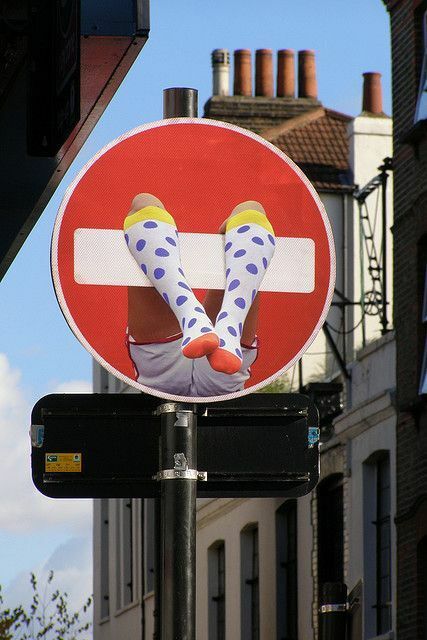 Traffic sign by Dan Witz in Brick Lane, Londen. Characters by Mentalgassi + Mundano in São Paulo, Brasil to reduce littering. Header image by Alex Tihonovs.